This printed linen furnishing fabric was designed and sold by The Omega Workshops Ltd. Founded in 1913 by Roger Fry, Omega Workshops was a group of artists (including Vanessa Bell and Duncan Grant) who designed furniture, pottery, carpets, textiles, stained glass and whole schemes of interior decoration. 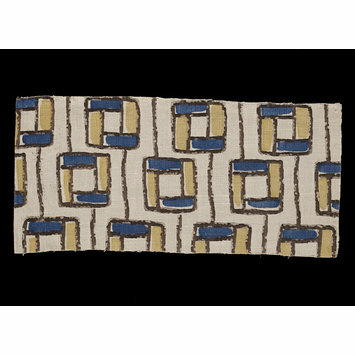 The Omega textile designs were ahead of their time and set a fashion for abstract and geometric patterns. This example 'Mechtilde', is likely to have been designed by the artist Frederick Etchells, a member of the group. 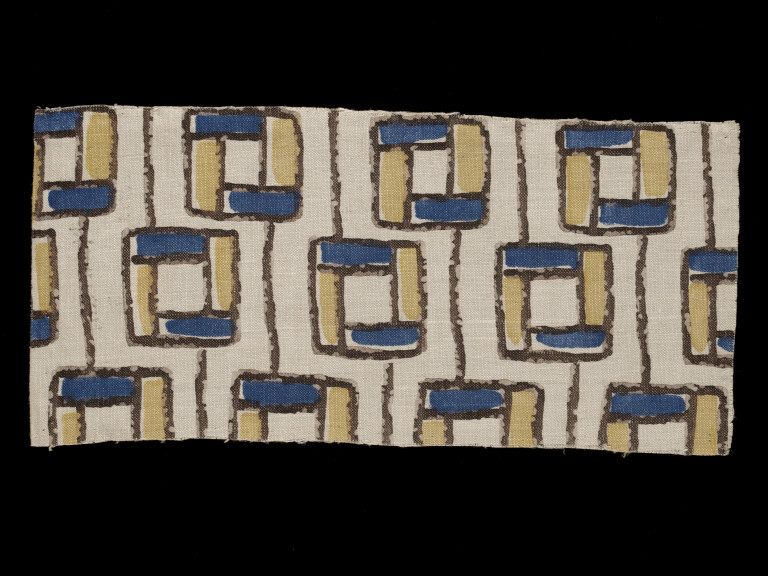 This simple design was also used for a carpet woven by The Wilton Royal Carpet Factory, near Salisbury, in about 1915. 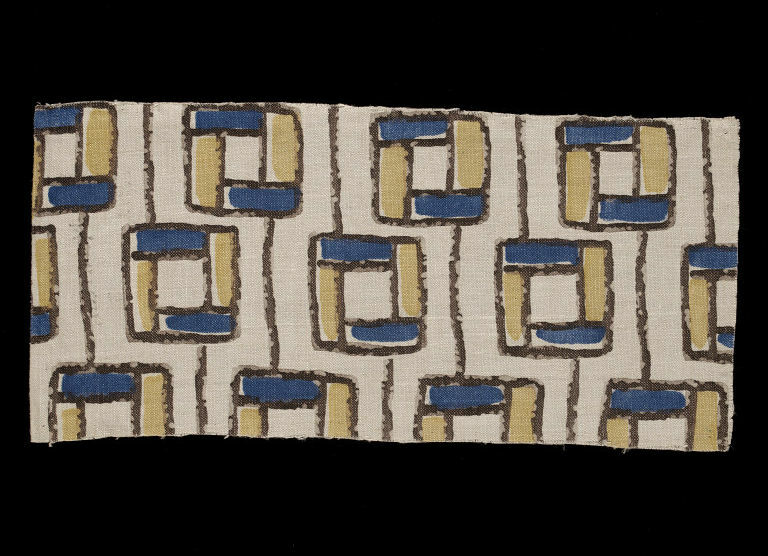 Furnishing fabric of printed linen with a design of rows and squares linked by vertical lines with blue and yellow blocks of colour and black lines on a cream ground.